Nature is the ultimate designer. For millions of years the natural world has been providing solutions to problems that we haven’t even dreamed of yet, and as such there is much we have yet to learn from Mother Nature. In recent years engineers have increasingly been turning to nature to provide a source of inspiration for everything from aircraft designs to robots and this has seen the rise of a whole new field of engineering known as biomimetics – biologically inspired engineering. Inspired by this, here we thought we’d share with you a fascinating example of biomimetics in action that demonstrates perfectly how incredible nature’s designs really are. Sharks are truly captivating creatures. And as the ultimate ocean predators they’re a force to be reckoned with too! These fascinating fish have been patrolling the earth’s seas for over 450 million years and continue to be a source of inspiration for the popular imagination and scientists too! Intriguingly, recent investigations have revealed that, asides from their super teeth and senses, part of what makes sharks such effective killing machine is their skin. That’s right, scientists have discovered that unlike other fish species, shark skin is rough – like sandpaper- and is made up of a series of tiny interlocking teeth known as denticles. It’s thanks to these tiny teeth-like structures that sharks are able to demonstrate such remarkable swimming abilities. If you’re wondering how, it’s because these denticles act to reduce drag, by disrupting the flow of water over the shark’s body, allowing these sea-dwellers to swim with much greater speed. Inspired by this natural design, engineers have made numerous attempts in recent years to harness the power of these denticles to help improve the design of everything from aeroplanes to swimsuits – with varying degrees of success. But it was only recently – thanks to a team of engineers at the University of Harvard – that the secrets of shark skin were finally fully uncovered. For years, the exact process that enables denticles to reduce drag had remained a mystery. However, not to be defeated, this pioneering team utilised 3D printing techniques in order to bring this mystery to light. By employing advanced scanning techniques they were able to create a precise 3D model of the surface of a shark’s skin. This model was then produced using a 3D printer and the results were really rather extraordinary. The team had managed to create a remarkably realistic artificial shark skin that included thousands of synthetic denticles. Tests revealed that this man-made shark skin was able to increase speed and reduce energy expenditure in comparison to a smooth control model that did not feature denticles, revealing the true nature of these energy-saving structures. 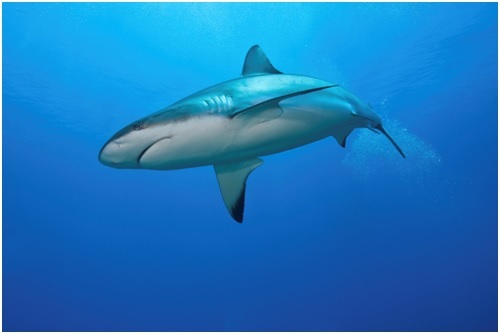 In the future it’s hoped that materials inspired by shark skin could be used for a vast array of applications, including in the field of aerospace engineering, to help make aeroplane wings more energy efficient – not bad for old Jaws! Here at Airedale Springs we just couldn’t resist bring you this incredible story. After all, as leading manufacturers of an array of state of the art spring products, including extension springs, we understand the importance of high quality design. Interestingly, we have also been involved in projects designed to illuminate further the secrets of these great ocean predators. 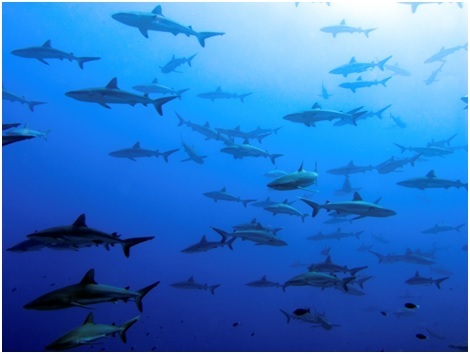 We have recently produced springs for use in a project run by the University Swansea, which is aiming to monitor the migration patterns of sharks. 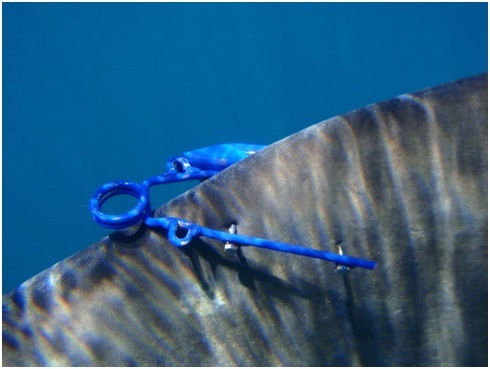 Our springs formed an integral part of a piece of tracking technology -in the form of an antennae – which was attached to the sharks dorsal fin. And we can’t wait to find out what shark secrets they will help to reveal! If you would like more information about our services, or any of our spring products, please don’t hesitate to contact our friendly team today, by giving us a call on 01535 643456, and we will be happy to discuss any questions you may have.